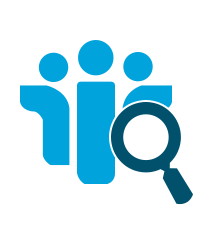 Lotus Notes NSF Finder is a software that can find all the Lotus Notes NSF files present in multiple machines under the same domain. It will display the list of NSF files and allows user to save them in desired location. The Lotus Notes NSF Finder is available in demo version for trial purposes to understand the working of software. It will only give the preview of all the NSF files and the License version of software can be purchased that allow user to save the NSF files found. The Notes Storage Facility (NSF) files is a storage pool for Lotus Notes and Domino Server used for storing all the information related to a Notes account like Emails, Contacts, Calendar, tasks etc. It can be stored locally on the system or in Domino Server. One Notes account has several NSF files associated to it like mailbox.nsf, names.nsf, internet.nsf, bookmark.nsf etc. If multiple number of NSF files is present in different machines, we can search the NSF files in those machines connected within a same network and save the files in local system. Why do we need Lotus Notes NSF Finder? Suppose the employees of an organization who were using Lotus Email clientfaces some issues within the same organization due to which many applications were removed from the systems that included Lotus Notes. The employees need the NSF files urgently to get the access the data stored in NSF files. The NSF Finder software will find all the NSF files in different systems connected under same domain and it can be saved in the local system by which the employees can retrieve the data. The tool can function without Lotus Notes Environment. The foremost reason behind the global acceptance of NSF Finder is that it can find the NSF files within the networked machines without the presence of Lotus Notes Environment. The software is compatible with almost all the versions of Windows OS. It allows user to save the NSF files in the desired location of local system. Does the software need Lotus Notes Environment to search the NSF files in networked machines? No, the NSF Finder Tool is an independent software that does not need Lotus Notes Installation for finding the NSF files within the networked machines. Can I select only the desired NSF files and save only those files in my system? Yes, the software allows user to choose the desired NSF files among the list and save them in local system. Alternatively, the user can also save all the NSF files in desired location. Will the trial version of the software give the preview of NSF files with its attributes? Yes, the trial version of NSF Finder software will give the list of all the NSF Files with their details like File name, File path, and size of file. Do I need the domain credentials of the network to find the NSF files in the multiple machines under the same network? Yes, for finding the NSF files present in multiple machines under the same domain, we need to have domain credentials or full administrative rights & permissions of the network.